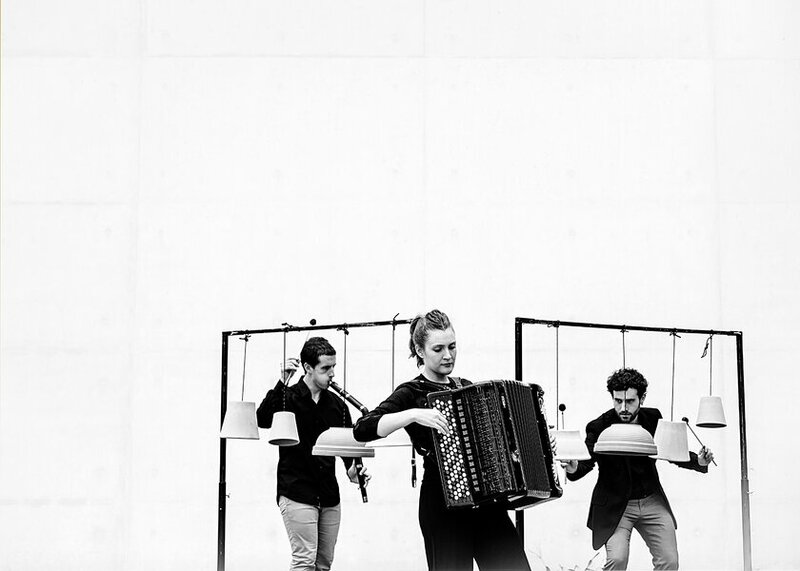 In 2014, Trio Zukan emerged from the combination of three uncommon instruments: accordion, percussion and txistu. The repertoire for this instrumental combination was non-existent at the beginning, so its members decided to promote a project with different composers, with the intention of creating a new repertoire. To this day, Zukan has commissioned, revised and released more than a dozen pieces by national and international composers such as: María Eugenia Luc, Mikel Chamizo, Isabel Urrutia, Francisco José Domínguez, Vassilis Filippou, etc. The group is one of the most consolidated groups on the contemporary music scene in the Basque Country. 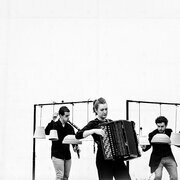 They have performed in Quincena Musical Donostia, Bernaola Festival, Musikagileak Circuit, BBVA Cycle and Attacca Basel, among others. Trio Zukan recently published a CD called Soinuzko Begiradak, which features some of their most significant works so far.